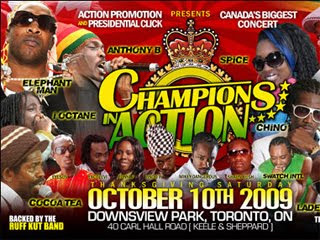 iDancehallReggae.com::Caribbean Lifestyle Media::: Just In: Champions in Action Posponed!! Just In: Champions in Action Posponed!! postponed by the promoter, Action Promotion. contained in his much earlier works. a new concert, ensuring full value for concert goers. returned to their purchasing venue for a full refund. announced by the promoter in the near future.